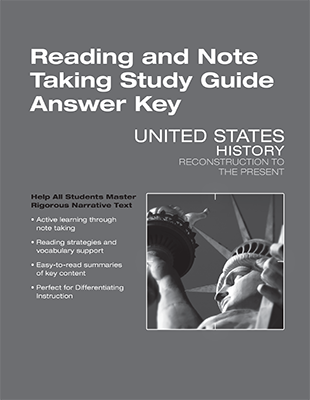 Students can learn content by reading narrative text online, or in a printed Student Edition, accessing the content using any device (including a smartphone! 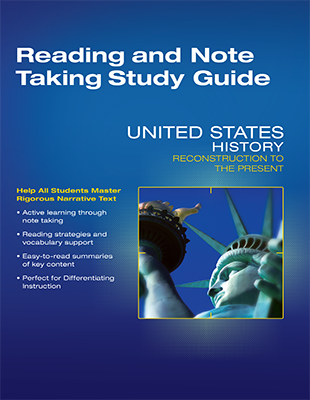 ), and by working in the Reading and Notetaking Study Guide workbooks available with the program. Provides a visual overview of the digital assets in the course, and how to best teach using both digital assets and the narrative text. Helps to streamline planning and saves time by providing flexible options. 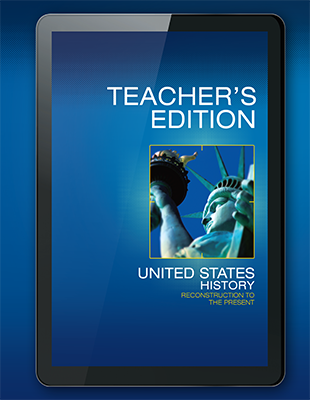 Pearson’s United States History allows students and teachers to travel beyond the page with technology that blends easily into any classroom. Time-saving activities, interactive presentations, and classroom management tools allow for seamless integration of 21st century skills and daily lesson planning.